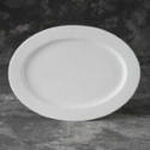 DB5064 Pottery Dinner Plate http://www.georgies.com/products/bisque/db5064.jpg Duncan 25064 Pottery Dinner Plate measures 10.75" x 10.75" x 1.25"
DB5065 Pottery Salad Plate http://www.georgies.com/products/bisque/db5065.jpg Duncan 25065 Pottery Salad Plate measures 8.25" x 8.5" x 1"
DB5066 Pottery Bowl http://www.georgies.com/products/bisque/db5066.jpg Duncan 25066 Pottery Bowl measures 5.5" x 5.25" x 3"
DB5067 Pottery Mug http://www.georgies.com/products/bisque/db5067.jpg Duncan 25067 Pottery Mug measures 5.25" x 3.5" x 4"
DB5075 Ten Petal Flower Plate http://www.georgies.com/products/bisque/db5075.jpg Duncan 25075 Ten Petal Flower Plate measures 8.5" x 8.5" x 1"
DB5076 Ten Petal Flower Mug http://www.georgies.com/products/bisque/db5076.jpg Duncan 25076 Ten Petal Flower Mug measures 5" x 3.35" x 3.85"
DB5070 Short 20oz. 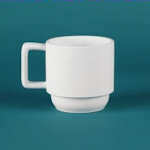 Mug http://www.georgies.com/products/bisque/db5070.jpg Duncan 25070 Short 20oz. 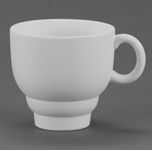 Mug measures 5.75" x 4.15" x 3.5"
DB5071 Bell Mug http://www.georgies.com/products/bisque/db5071.jpg Duncan 25071 Bell Mug measures 5" x 3.75" x 4.25"
DB5072 Elevated Mug http://www.georgies.com/products/bisque/db5072.jpg Duncan 25072 Elevated Mug measures 5.5" x 4.4" x 4"
DB1426 Coupe Dinner Plate http://www.georgies.com/products/bisque/db1426.jpg Duncan 21426 Coupe dinner ceramic plate measures 11 x 11 x 1.5"
DB1427 Coupe Salad Plate http://www.georgies.com/products/bisque/db1427.jpg Duncan 21427 Coupe salad ceramic plate measures 8 x 8 x 1"
DB8575 Coupe Oval Platter http://www.georgies.com/products/bisque/db8575.jpg Duncan 28575 Coupe ceramic oval platter measures 16 x 10.75"
DB9201 Everyday Small Creamer http://www.georgies.com/products/bisque/db9201.jpg Duncan 29201 Everyday small ceramic creamer measures 5" x 3.7" x 3.5". 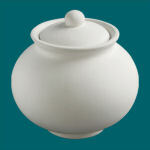 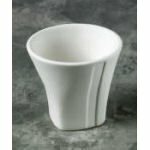 DB9202 Everyday Small Sugar Bowl http://www.georgies.com/products/bisque/db9202.jpg Duncan 29202 Everyday small ceramic sugar bowl measures 4.15" x 4.15" x 4". 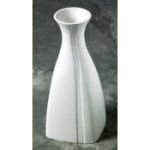 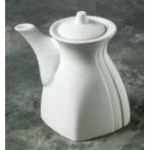 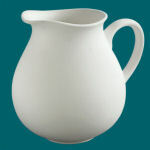 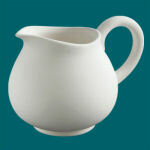 DB9203 Everyday Large Pitcher http://www.georgies.com/products/bisque/db9203.jpg Duncan 29203 Everyday large ceramic pitcher measures 8.25" x 6.3" x 7". 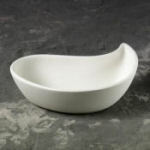 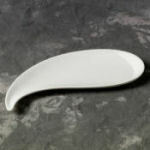 DB9204 Everyday Small Spoon Rest http://www.georgies.com/products/bisque/db9204.jpg Duncan 29204 Everyday small ceramic spoon rest measures 9" x 3.66" x 1.1". 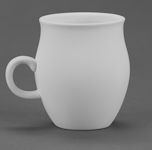 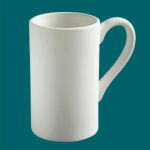 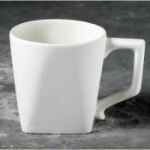 DB9205 Everyday Tall Mug http://www.georgies.com/products/bisque/db9205.jpg Duncan 29205 Everyday ceramic tall mug measures 5" x 3" x 5". 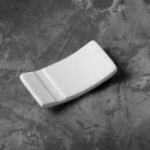 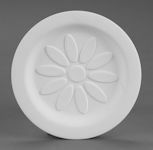 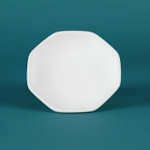 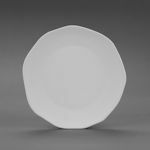 DB1522 Small Octagon Plate http://www.georgies.com/products/bisque/db1522.jpg Duncan 21522 Small octagon ceramic plate measures 5" x 5" x 1". 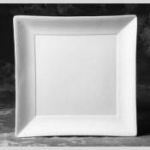 DB1524 Medium Square Plate http://www.georgies.com/products/bisque/db1524.jpg Duncan 21524 Medium square ceramic plate measures 8" x 8" x 1". 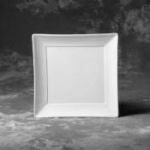 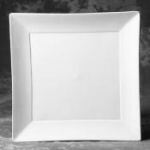 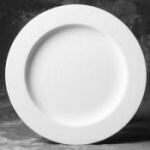 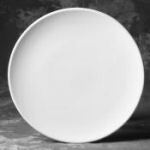 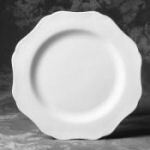 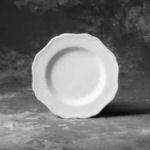 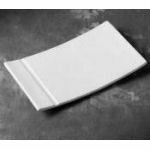 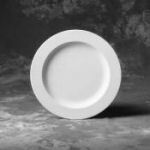 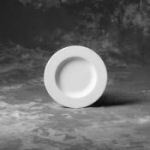 DB4807 Square Dinner Plate http://www.georgies.com/products/bisque/db4807.jpg Duncan 24807 Ceramic square dinner plate measures 11.25" x 1" . 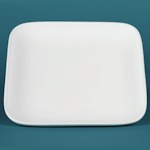 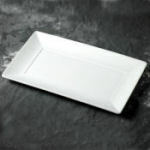 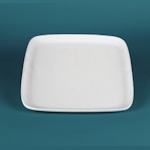 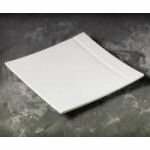 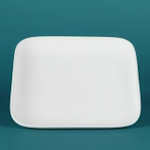 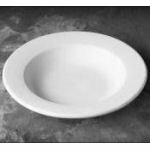 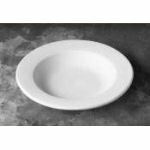 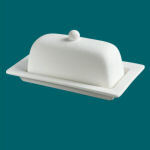 DB4808 Square Salad Plate http://www.georgies.com/products/bisque/db4808.jpg Duncan 24808 Ceramic square salad plate measures 5" x 1". 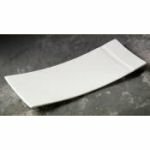 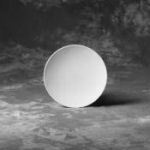 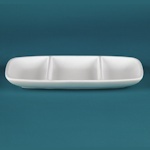 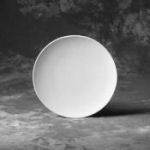 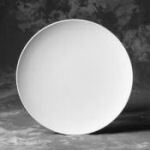 DB4809 Divided Dish http://www.georgies.com/products/bisque/db4809.jpg Duncan 24809 Ceramic divided dish measures 10" x 5.25" x 1"
DB3885 Harmony Dessert Plate http://www.georgies.com/products/bisque/db3885.jpg Duncan 23885 Harmony teardrop dessert plate measures 7-3/4" x 4" x 1". 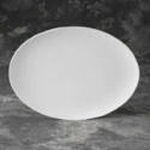 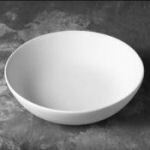 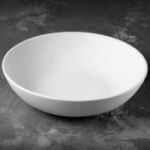 DB3886 Harmony Teardrop Soup Bowl http://www.georgies.com/products/bisque/db3886.jpg Duncan 23886 Harmony teardrop ceramic soup bowl measures 7" x 4-3/4". 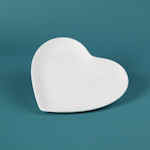 DB0614 Small Heart Plate http://www.georgies.com/products/bisque/db0614.jpg Duncan 20614 Heart small ceramic plate measures 8.75" x 8" x 1". 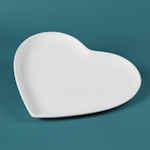 DB0615 Large Heart Plate http://www.georgies.com/products/bisque/db0615.jpg Duncan 20615 Heart large ceramic plate measures 11.25" x 10.5" x 1". 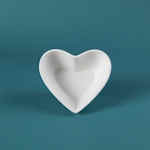 DB0616 Small Heart Nesting Bowl http://www.georgies.com/products/bisque/db0616.jpg Duncan 20616 Heart small ceramic nesting bowl measures 5.5" x 6" x 2.25". 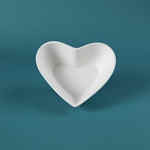 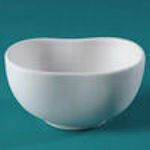 DB0617 Large Heart Nesting Bowl http://www.georgies.com/products/bisque/db0617.jpg Duncan 20617 Heart large ceramic nesting bowl measures 8" x 7" x 3". 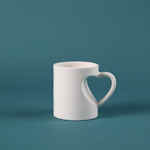 DB0619 Small Heart Mug http://www.georgies.com/products/bisque/db0619.jpg Duncan 20619 Heart small ceramic mug measures 4.5" x 3.25" x 3.75". 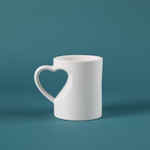 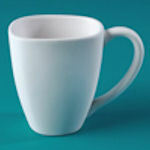 DB0620 Medium Heart Mug http://www.georgies.com/products/bisque/db0620.jpg Duncan 20620 Heart medium ceramic mug measures 5" x 3.5" x 4.25". 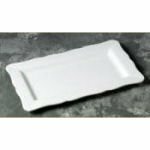 DB4794Provence Serving Platterhttp://www.georgies.com/products/bisque/db4794.jpg Duncan 24794 Provence ceramic serving platter measures 13 x 8 x 1"
DB8574 Rimmed Oval Platter http://www.georgies.com/products/bisque/db8574.jpg Duncan 28574 Rimmed ceramic oval platter measures 15" x 10.75"
Available by special order only, in multiples of 12. 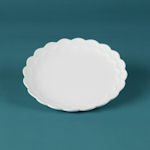 DB1216 Scalloped Dinner Plate http://www.georgies.com/products/bisque/db1216.jpg Duncan 21216 Scalloped teardrop dinner ceramic plate measures 10 x 10 x 1". 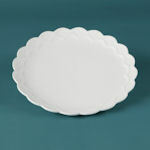 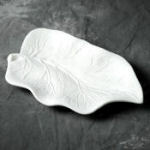 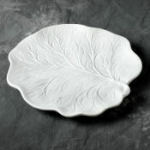 DB1217 Scalloped Salad Plate http://www.georgies.com/products/bisque/db1217.jpg Duncan 21217 Scalloped teardrop salad ceramic plate measures 8 x 8 x 1". 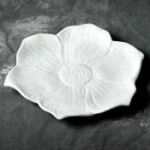 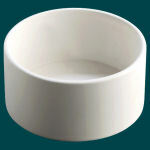 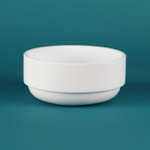 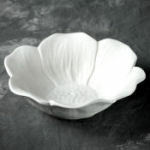 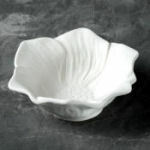 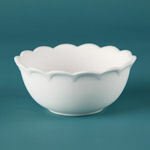 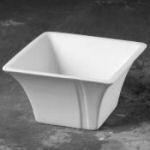 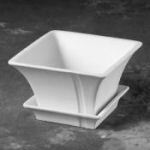 DB1218 Scalloped Bowl http://www.georgies.com/products/bisque/db1218.jpg Duncan 21218 Scalloped ceramic bowl measures 6 x 6 x 2.75". 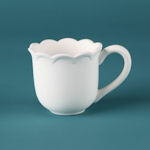 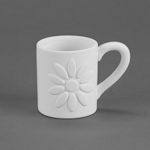 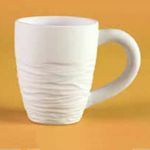 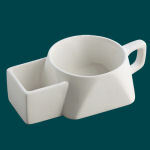 DB1219 Scalloped Mug http://www.georgies.com/products/bisque/db1219.jpg Duncan 21219 Scalloped ceramic mug measures 4.5 x 3.25 x 3". 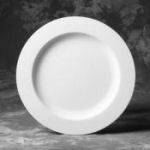 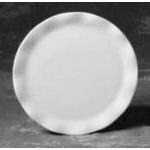 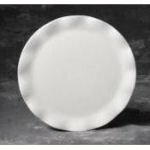 DB5820 Wavy Round Dinner Plate http://www.georgies.com/products/bisque/db5820.jpg Duncan 28520 Wavy round dinner plate measures 10" wide. 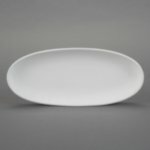 DB5821 Wavy Round Salad Plate http://www.georgies.com/products/bisque/db5821.jpg Duncan 25821 Wavy round salad plate measures 8" wide.